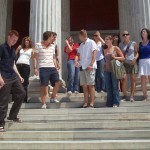 Greek Courses in Greece - Athens. 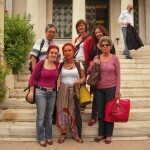 At the Hellenic Language School. Athens, capital of Greece, and one of the oldest cities of the world, is dominated by the Acropolis and is pervaded by the spirit of ancient myths. Just 500 feet below the Acropolis, the ancient mingles with the modern. Adjoining Syntagma Square, the meeting place of today, is the picturesque PLAKA with its adjoining narrow streets. The advancement of a methodological approach to teaching Modern Greek as a foreign language. 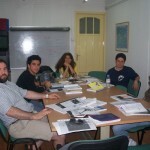 The expansion of the field of teaching Modern Greek to speakers of other languages. 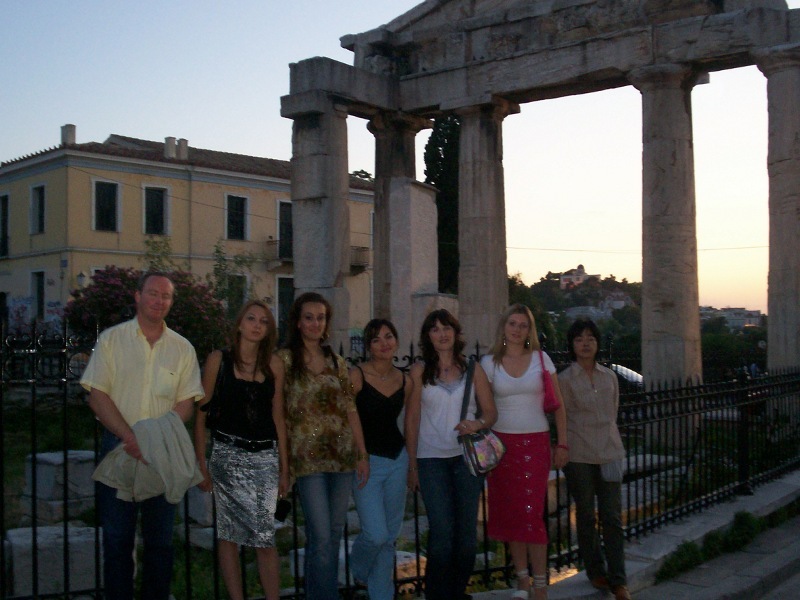 The Hellenic Language School Alexander the Great is located in the center of the city near the University, the Polytechnic School, the National Library, the Archaeological Museum and many other places of interest. Since everything is in the vicinity, students may easily move around on foot between the school and the main sites, the modern shopping areas and the restaurants. All students receive a warm welcome in the friendly atmosphere of the school’s six-story building with its nine classrooms and well-equipped language laboratory. 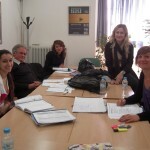 Methodology: The methodology used for the Greek Courses has been developed to suit real life situations. Students devote 3 to 6 teaching periods per day to studying all Greek language skills, listening, speaking, reading and writing. Teachers hold a university degree. Prices include number of Greek language lessons per week as stated below, placement test on arrival, books and study materials. Each Lesson is 50 minutes long. 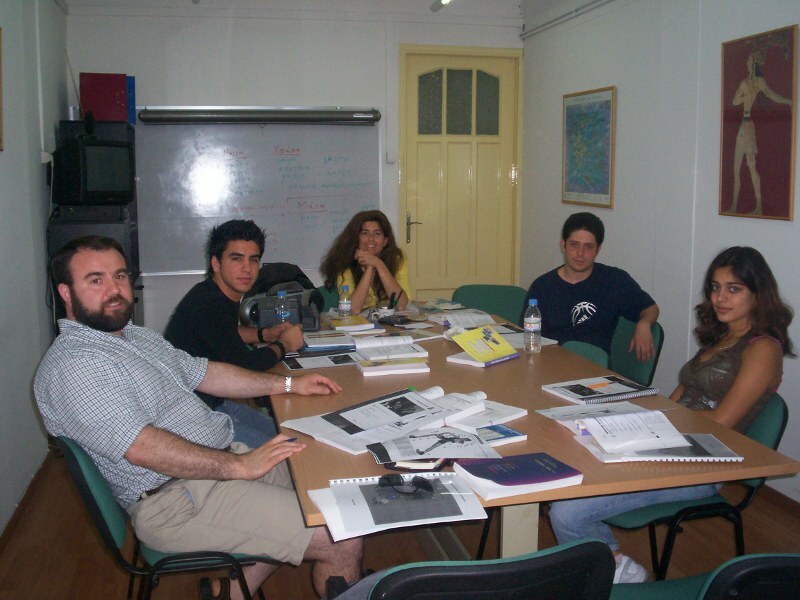 Intensive General Greek Course – Group 12 –— 20 Greek language lessons per week, average number of students per class: 5, maximum number of students per class: 12. There are 8 course levels from beginners to advanced. New students are given a placement test and are placed in the appropriate level. 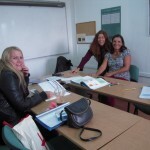 Students are trained in all areas of language skills. Minimum age is 17 years. Business Greek Course — Offered on a one-to-one basis only. Year round. Starting dates: Every Monday Upon request. Each lesson is 50 minutes long. Prices: See price table below. 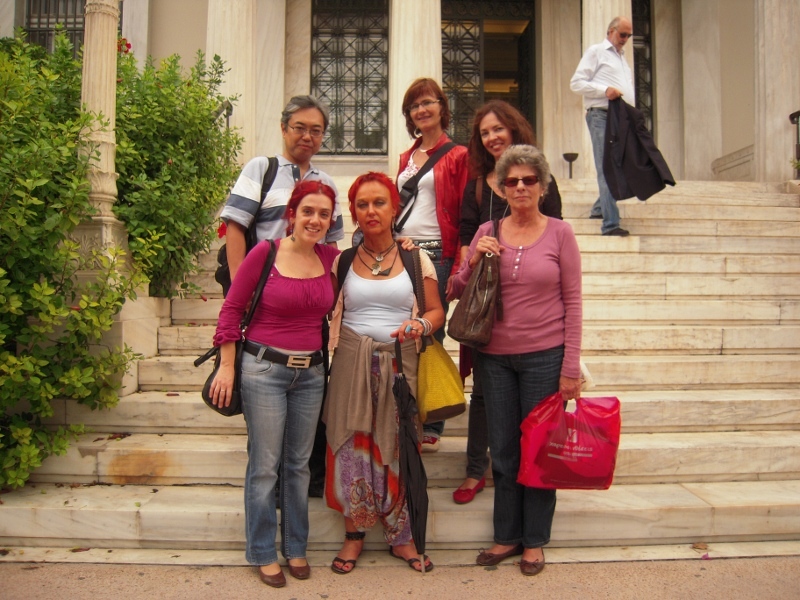 Ancient Greek Group Course — 2 or 4 week program offered in the summer. Program includes 20 Ancient Greek lessons per week (each lesson = 50 minutes), educational materials, museum visits, teacher led walks around Athens (4 in the 2 week program, 6 in the 4 week program) including the Acropolis, Ancient Athens, Medieval Athens, Modern Athens. Starting dates 2019 (2 or 4 week programs): 7 January, 4 February, 8 July, 29 July or 6 August. Prices: See price table below. Private Ancient Greek Course — Offered year round on one-to-one basis only. Starting dates: Every Monday Upon request. Each lesson is 50 minutes long. Prices: See price table below. Private General Greek Course — Discounts for multiple lessons booked (prices per week): 10 Greek one-to-one language lessons per week. 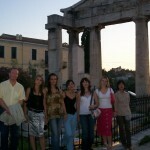 20 Greek language lessons per week, or 30 Greek language lessons per week. Each lesson is 50 minutes long. Prices: See price table below. Airport transfers are available upon request and at additional charge: USD 155.00 round trip. Accommodations are offered with carefully selected local host families, shared apartments (private room and use of kitchen) or in hotels. In addition to the Greek Courses the Hellenic Language School Alexander the Great also organizes activities every week in order to help students become familiar with Greek culture and modern life. Teachers guide the students through walking trips to experience social activities and practice conversation in real life situations. 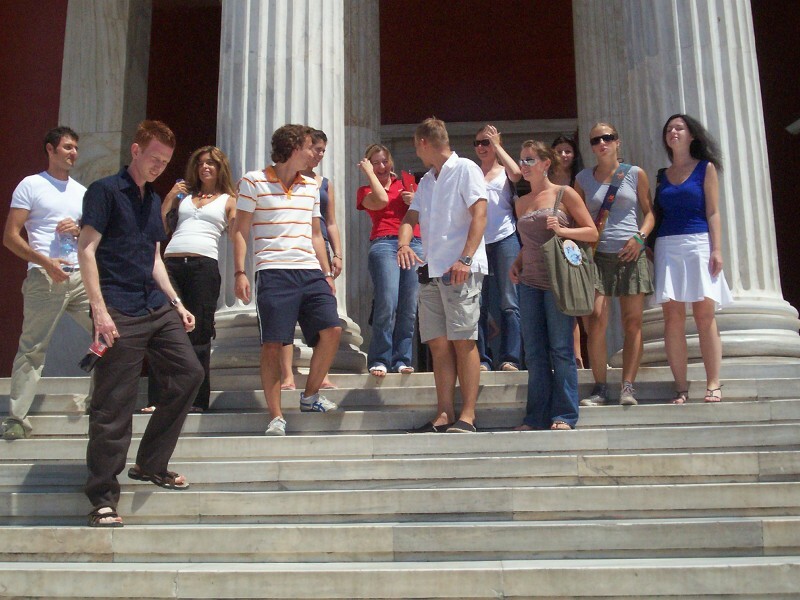 Visits to archaeological sites in Athens are organized (admission fees and transportation are the student’s responsibility). Half-day, full day excursions and cruises can also be arranged at additional cost. 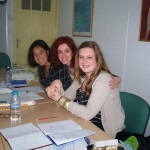 The Hellenic Language School Alexander the Great also offers Greek Courses in Chania, Crete.